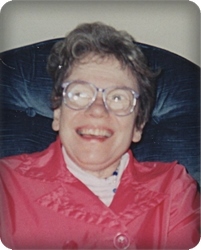 Laurel De Groot, age 71, of Grand Rapids, entered her heavenly home on Friday, November 9, 2018. She will be lovingly remembered by her sister, Deb and Jim Orange and their children, Matt and Sara Orange, (Anna & Tanner Besosa, Kalli Orange, Rachel Orange, Matt Orange), Dan and Lisa Orange, (Alexa, Jaylen and Bella Orange), Becky Orange (Austin Orange); her brother, Craig and Sonia De Groot and their children, Kimberly and Josie De Groot. She was predeceased by her parents, Don and Margaret De Groot, and her nephew, David Orange. The family wishes to thank the staffs of Eastern Group Home, Gladiola Home, and the caring staff of the Plymouth Home. Laurel loved her caregivers and the activity in the homes. She had a phenomenal memory and often acted as the keeper of the dates and going ons in the homes, making sure all appointments were kept. Also, a big thank you to the nurses of Grace Hospice for the love and support shown to our family the past weeks. Their support was very much appreciated. The family will greet friends and relatives on Friday, November 23, from 10 - 11 am at Cutlerville East Christian Reformed Church, 501 68th St. SE, where the funeral will be held at 11 am. Rev. Ron Bouwkamp will officiate. Interment will be in Blain Cemetery. In lieu of flowers, donations may be made to Grace Hospice, 3355 Eagle Park Dr NE, Grand Rapids, MI 49525, or a charity of your choice. Our sympathy in your loss. I remember how Laurel loved my mom Margaret DeGroot Hoogwerf and how she enjoyed being with her. What a blessing her family was to her. What a sweet cousin! I know she will be missed so much! Praying for all of you!